Their world might not have many characters like Superman or Batman. Brainstorming during weekly short stories in the Sammohini Arc of “The Story” is helping me figure out the nuances between their world and ours. The characters introduced in “An Insurmountable Odd” play heavily into the mythos surrounding Eville. That means Wiles, Scribe, and Sneaker represent cultural forces significantly greater than Lewis and Clark, if companies are still named after them. If so, then people that did heroic deeds in their universe are considered more important than fictional heroes. I’ve thrown some occasional implying nuances. While writing “Burned Versus Bought,” I thought I’d written about what happened to the lead singer of the in-universe band The Ketchup Packets. Well, he protects some fans outside of a venue from being gunned down in an argument of some sort, which has some implications that it could have been de-escalated or potentially avoided. The singer becomes a folk hero. John latches onto the “die for what you believe in” mentality and becomes a big fan. 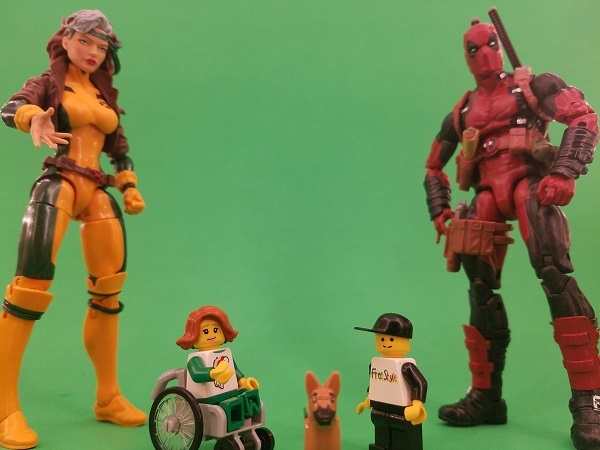 For that to work, the X-Men wouldn’t be stewards for our moralities. They may still appear. I do really appreciate the X-Men’s themes of comradery. 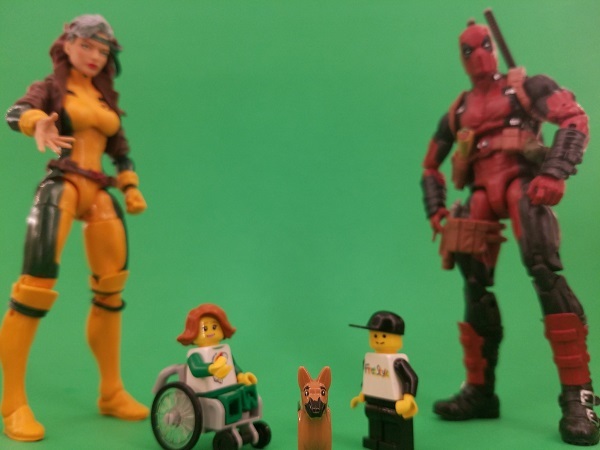 Superhero merchandise would just be minimal. It would be less important. Instead, the heroics of everyday people or historical figures might get merchandise. At least more recognition than the occasional statue that our heroes have now. The example that inspired most of this essay was a section in the concluding story of the “Career Mishap Trilogy.” Without spoilers: Jane considers a book in her possession that she values deeply. This book was written by a brilliant military tactician in the universe of “The Story” just before being executed. I was mainly thinking of adjusting The Art of War to meet this idea while writing that passage. Boëthius wrote The Consolation of Philosophy under those same unfortunate circumstances, which I hadn’t heard of before. Sun Tzu and Boëthius types are more important characters in their world. The most drastic change separating our world from “The Story” is the value of efforts in philosophy. Rather than being swept off to the side in favor of exciting trends in entertainment, John, Trishna, and their cultures overall value the efforts of people more than ours do. Rather than stale lives, perhaps there’s more of a sense that everyday people can rise to the challenge of impossible odds and achieve victory for themselves and those they care about? The nuance of which will require more background thought. Inspirations: “What Makes A Hero Feel Real?,” by Super Eyepatch Wolf and “The Dark Knight– Creating The Ultimate Antagonist” by Lessons From The Screenplay. Photos: Trishna, John, and Pollyanna look at the camera, curiously. 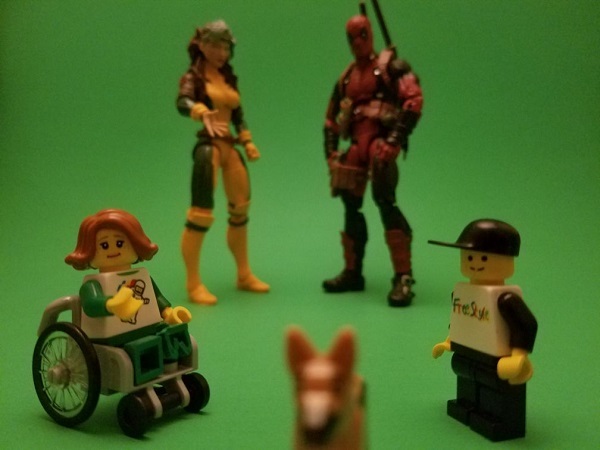 Perhaps Rogue and Deadpool tipped them off that they’re being photographed? I wasn’t happy with the different arrangement I tried in the third shot, so I went with the original shots. The first photo had with the focus on Trishna and John and the second focused on Pollyanna.